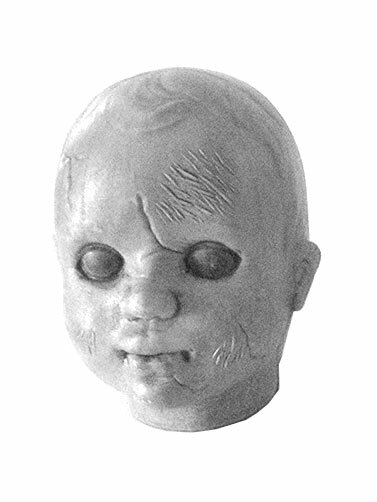 Hang this creepy Bag of Doll Heads in your Halloween display to add a haunting element. 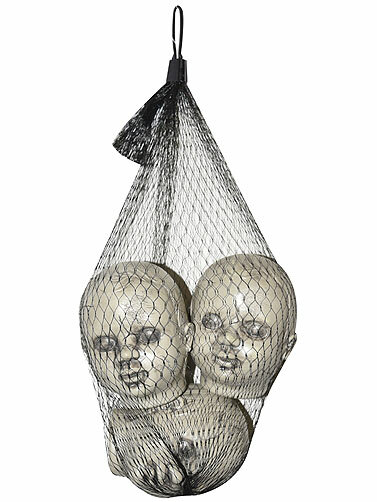 Mesh bag contains three plastic doll heads with an antique finish. Great for your Halloween craft projects. Doll heads measure 2.5"H x 2.5"W. Bag of Doll Heads overall measures 11"L x 3"W. 3 pc.